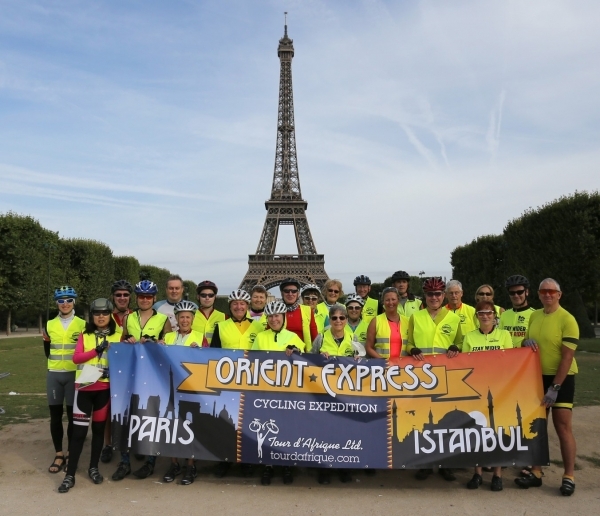 The Orient Express Cycling Tour takes its name from the famed luxury train route of the 1800’s. 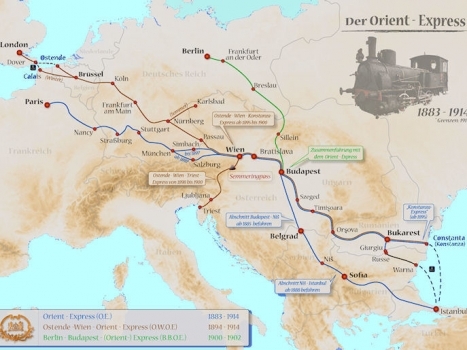 We always loved the concept of the Orient Express – be it by rail or by bike – the idea of a thread through many countries that tied the European continent together. It connects the ‘Orient’ with Western Europe and allows travellers to see the beautiful transition in landscape and cultures. Though the luxury part of the Orient Express train was never our style, the sense of discovery and adventure definitely were. The Orient Express is our longest operating European tour. Since it was first run in 2005 we have had over 200 people participate in this Paris to Istanbul classic. 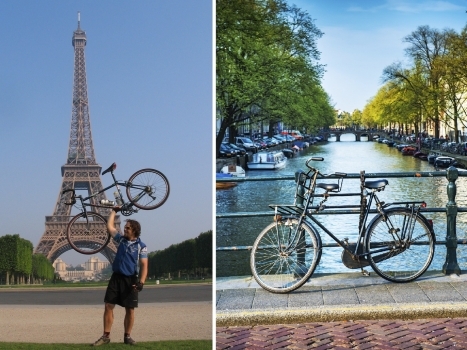 Every second summer in early July a group of bicycle tourists ride around Paris, pausing at the Eiffel Tower for a group photo, before pointing their bicycles eastward, destined to reach Istanbul seven weeks later. The tour has changed over the years – adjusting to changing roads and changing interests (read about the latest changes for the 2019 edition) but it still offers participants the best chance to experience a fascinating 3,600 km cross section of Europe. 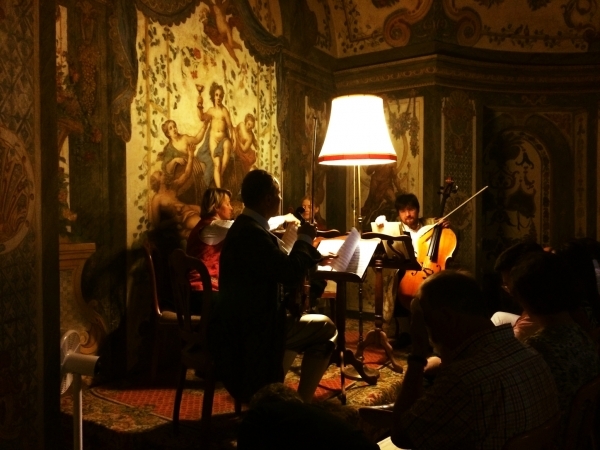 If you are contemplating joining the list of OE alumni and need a nudge… well here are 10 reasons to get you excited for next summer’s Orient Express (Registration is now open). Each year we have run the Orient Express we have headed out from our hotel pointed in the wrong direction. Not pointed to Istanbul (not yet), but in the direction of the Eiffel Tower and Notre Dame and several other iconic sights of Paris. Taking advantage of car-free streets that Paris offers on Sundays we pedal around these sights, pausing briefly for some memorable group photos. Then we follow the Seine River east out of the city and the journey begins. Seven weeks later on our arrival into Istanbul we pedal to the edge of the Bosphorus – that mighty waterway holding Europe and Asia apart. After dipping our bike wheels in the Bosphorus, we pile onto a ferry boat and celebrate the journey by sailing past Istanbul’s dramatic skyline with its minarets piercing the sky and its mighty bridges defying physics high above us. When we announced the details of the 2019 Orient Express, the big change was that this is now an all-hotel tour. Though we enjoyed some cool campsites over the years it has been hard to avoid making this shift – which many past cyclists have recommended. A common sight at around 10am on any given day in Western Europe on the Orient Express is a group of cyclists street-side with a table full of cappuccinos and bicycle helmets, checking maps and discussing where the next stop will be. Riders guiltlessly order ridiculous desert creations through glass-fronted display cases. 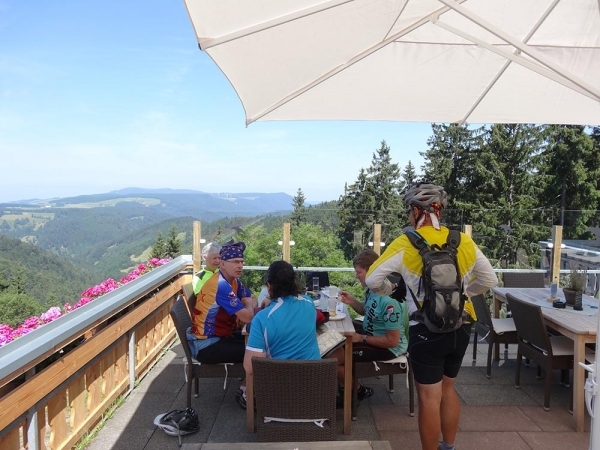 As some riders arrive, others depart and the group at the table grows and shrinks over the course of an hour before the stragglers collect their bike gloves and water bottles, ready to enjoy their next mid-morning stop somewhere up the road another 15 km or so. By the time you reach Budapest and the street-side cafes thereafter become less frequent, you may almost be relieved. Though the roads are gorgeous after Budapest, they will also become more hilly – an opportunity to counteract the effects of all those delicious deserts. From the source of the Danube in Donaueschingen, we cycle along this bicycle byway for over 1,000 km. The network of dedicated cycling paths and signed routes along residential streets is well marked and offers many services for the touring cyclists – everything from trailside cafes to bicycle tube vending machines. 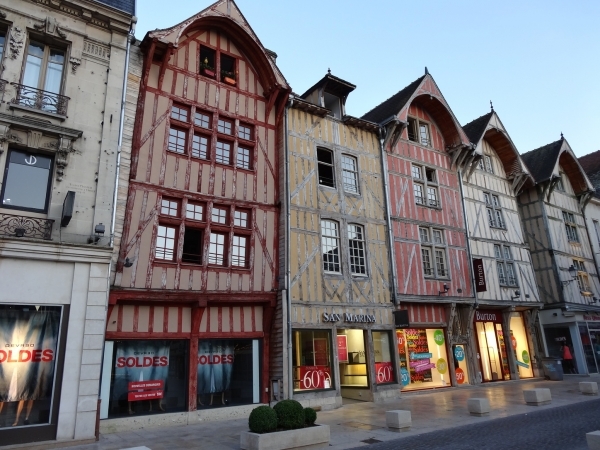 “Far from just a time capsule of imperial palaces and fin-de-siècle (end of 19th century) flourishes, this multicultural metropolis of 1.8 million has long been at the crossroads of cultures.” Read more. 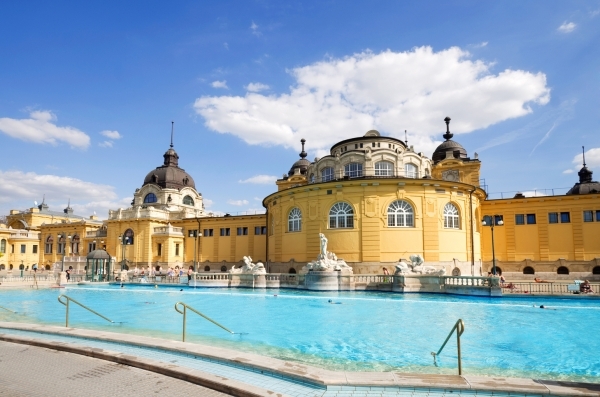 The Gellért Baths were built between 1912 and 1918 but people have been claiming the healing power of these thermal waters as far back as the 13th century. At the midway point of the Orient Express what better way to treat yourself than with a soothing dip in the mineral rich waters of the Gellért Baths (or one of many other options in the thermal spa city). 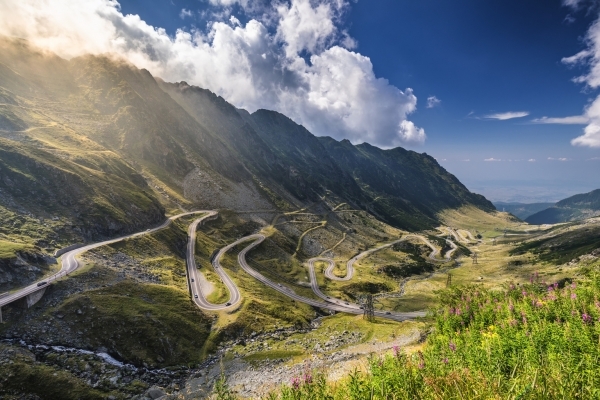 “This scenic route, famous as one of the most sinuous and panoramic in Romania, wound first through dense forest. We had to stop twice while herds of sheep, baaing and clanging their way down from their summer pastures to winter ones, engulfed our car for several minutes. The road then became so steep and narrow that we almost missed our next stopping point: Cetatea Poenari, a castle built by Vlad “the Impaler” Tepes, the historical model for Dracula. Located strategically to block Turkish invaders from the south from entering the fertile, valuable Transylvania territory, the citadel perches on a cliffside high above the road. Tourists eager to prowl the ruins of “Dracula’s castle” just need to climb 1,480 steps to reach it.” Read more. If you are as blissfully ignorant about Bulgaria as I was before first visiting, you will be pleasantly surprised on more than one occasion. 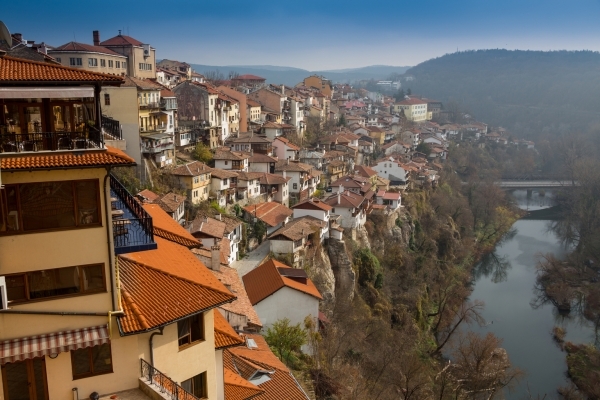 On a wonderfully unique and relatively quiet route through central Bulgaria, we stop for a rest day in Veliko Tarnovo – a beautiful town set high above meandering Yantra River with the majority of the town perched on three hills. Space in this hilly terrain is at a premium, so homes over the centuries have been built up densely around each other – so close that, in fact, that they appear to be stacked one on top of another – and in some cases they really are. This former medieval capital is certainly worth the steep climbs you’ll cycle to reach it! 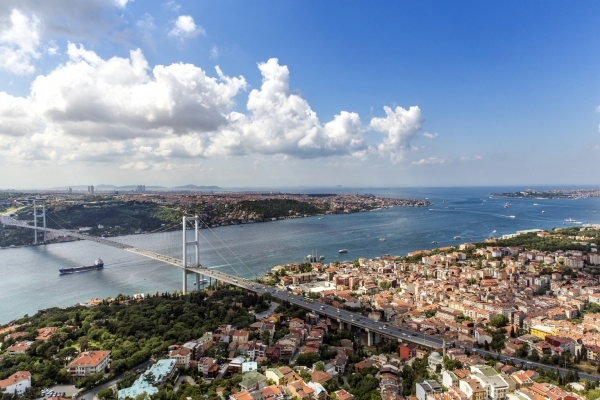 We mentioned Istanbul (or İstanbul in Turkish) once already in this list but it’s worth mentioning again. As the end point of both the Orient Express and our Silk Route cycling expedition, this city is quite familiar to us. Whether you are a lover of food, history, architecture, culture, shopping or nightlife, Istanbul has it all – sometimes all at once or all in the same place. From the Grand Bazaar, with its gorgeous rugs, lights, and decorative crafts and jewelry, to the Blue Mosque and Hagia Sophia and the complicated, layered histories of religion, power, and influence across the region – the city is diverse, at times chaotic, and inspiring to the first time traveller. For those cyclists hanging around longer at the end of the tour, the Asian side of the Bosporus offers even more to explore. Take in the restaurants and market streets in laidback Kadıköy district or take a ferry to one of the Princes’ Islands where motorized vehicles are banned and leave the busy city behind for an afternoon. I hope something in this list gets you excited about the Orient Express Cycling Tour. We would be happy to tell you more about the route or connect you with one of the former OE riders to hear their first hand experiences. Please let me know and we hope to see you in Paris next year!